When it comes to the amount of pension and the desired retirement date, self-employed and wage-employed people share the same ambitions. However, a Netspar analysis shows that the self-employed often lack, for a large part, a mandatory occupational pension. Also they save too little voluntarily, have non-substantial business equity and are vulnerable in the housing market. Therefore, they have a far lesser chance of realizing their retirement expectations. 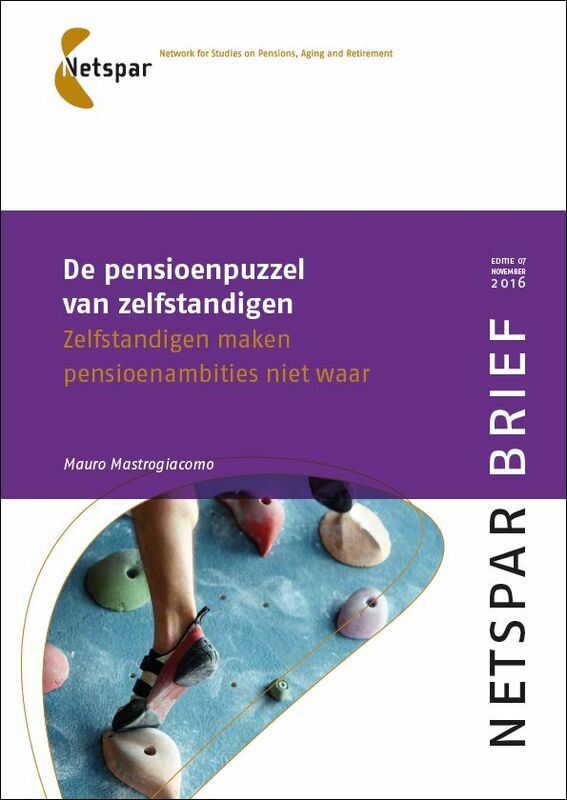 Read the full pressrelease and the Netspar Brief (both only available in Dutch). Read the English summary here. This Netspar Brief is part of the Netspar research program ‘Housing, Health and Retirement’. 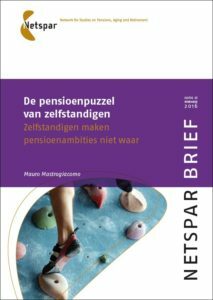 The topic of the interrelationships between housing, healthcare, and retirement is part of the broader social dialogue concerning the Dutch pension system. Netspar has also made it a top priority in its research agenda. It will mainly look at the significance of the individual (individual retirement income, customization and choice). Retirement is increasingly seen as a central part of the financial planning for the benefit of old age. Thereby people are striking a balance between money now and money later. Housing and Care play an important role there, in their own way. Home ownership is both a stable place to live as a nest egg for old age. Many people worry whether they are able to meet their health care needs in old age. If households with both housing, care and retirement are engaged in financial planning for retirement, an integrated approach can offer advantages. For questions related to the Housing, Healhcare and Retirement theme, please contact Michael Visser.